This Mandatory Declassification Review contains material on peacekeeping from 1993 and what would later become PDD-25 (Peacekeeping policy). 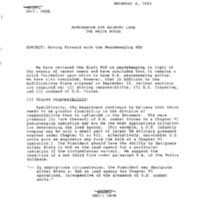 Material includes Department of Defense memos regarding recommended changes to the peacekeeping PDD. This Mandatory Declassification Review contains material on peacekeeping from 1993 and what would later become PDD-25 (Peacekeeping policy). 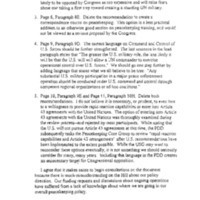 Material includes a note from NSC Global Affairs director Richard Clarke to National Security Advisor Anthony Lake on the status of the peacekeeping PDD.